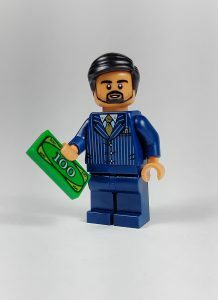 Lego has come a long way since its debut as a wooden toy company in 1932, and has seen many innovations that have promoted the sharing of creativity. 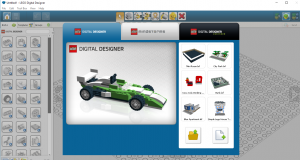 One of the most exciting in this regard was the launch of their Lego Digital Designer (LDD) program in 2004. 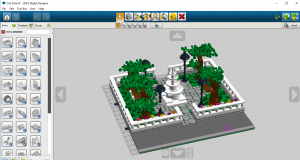 This program allows people to design their own Lego MOCs using digital pieces on the computer, which then creates building instructions to follow along and build yourself. With this program came the possibility to share the building instructions of Lego creations through the internet. In the coming months I will be working on digitizing my Lego MOCs for everyone to build themselves in the hopes that others will be inspired to re-create my ideas for themselves. Why Create Building Instructions for My MOCs? So why bother? Why spend time re-creating Lego projects on the computer for others to download and use themselves? I have received a lot of feedback on the MOCs I have created in the past and have been asked many times if the files are available on the internet. I regretfully had to turn them down, which I thought to be unfortunate because I would have loved to see others re-creating my work. The possibility of others using my designs to fill in their own Lego cities, or just to use as a display piece on the shelf is incredibly inspiring! Either way, I’d love to be able to share the instructions to my creations with everyone. Creating building instructions is time-consuming and at times frustrating. This can often be due to the cancellation of the LDD program last year in 2016, making sure the program would receive no further updates to the parts list. This is an issue when re-creating certain MOCs and will cause me to change the build, or design it using an alternative software called Stud.io. Stud.io is an alternative, updated version of LDD created by the unofficial Lego marketplace, Bricklink. This program is quite new, only being released in 2016 after LDD was deemed a failure, but is still constantly being updated with new software and parts lists. There are pros and cons to both LDD and Stud.io, which I will cover in another article. Suffice it to say that LDD is easier to use but does not produce the most linear and straight forward building instructions. 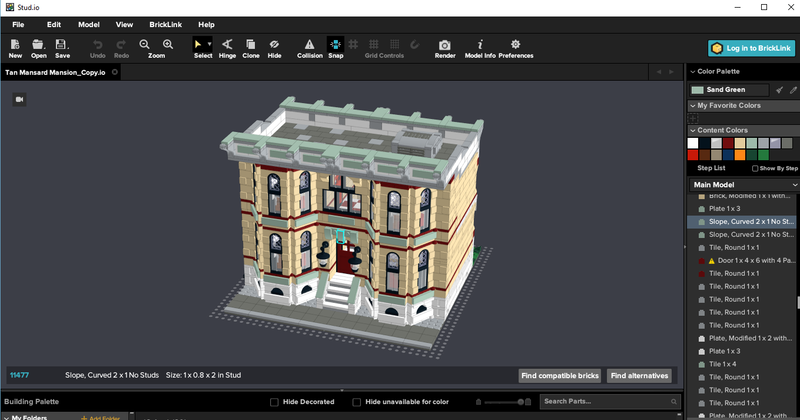 While Stud.io on the other hand, is not as up-to-date as LDD (however still being updated regularly), but allows you to create much more comprehensive building instructions. Overall I would like to be able to create two sets of building instructions for each of my Lego modular buildings: an LDD file as well as a Stud.io file. Yes and no; the idea behind creating two separate building instructions for the same MOC is that the LDD file can be downloaded for free, while there would be a small charge for the Stud.io file. The reason being that the LDD building instructions are generated automatically by the program. This means the instructions are quite often hard to follow and do not follow a linear structure like it would in an official Lego set. 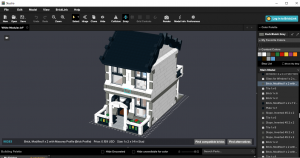 On the other hand, Stud.io allows the creator to build their own step-by-step building guide to help create straight forward, easy to follow building instructions. This however, takes time and effort and is the reason a small charge for the Stud.io files would be necessary. For now however, I can’t say anything for certain as these are all just ideas not yet taken shape. How everything will fall into place has yet to be determined, but I am excited for the possibilities in the future. I hope to one day have my creations available for you to add to your very own Lego display at home! The creativity of this community is beyond anything I have ever seen, and I’m ecstatic to be able to further share my ideas and inspire people to follow their passion for Lego.